As with many commonly used documents, the ADLS produces a standard Deed of Guarantee and Indemnity (ADLS Deed) which has been created with the intention to be used in a wide variety of situations. The Guarantee component is a legally binding agreement wherein a person or company promises (guarantees) that the obligations of another party will be met. The most common application is in the case of loans and mortgages, for example where an individual may enter into a mortgage, and their parents will act as guarantors. Therefore, if the child fails to meet their obligations under the mortgage, the responsibility of paying the mortgage will fall upon the parents. The Indemnity aspect of the Deed is where a party agrees to assume responsibility and cover the costs of any loss or damage suffered by a party – even if they didn’t cause it. The ADLS Deed seeks to cover aspects of both cases and apply to a variety of situations and are an important tool in creditor’s protection against the risk of debtors defaulting and causing the creditor to suffer loss or damage as a result. By combining both a guarantee and an indemnity in a Deed, the ADLS seeks to ensure both parties are offered adequate protection – as there are advantages and disadvantages of both. A recent case – Regan v Brougham  NZHC 1091 – brought the function and enforceability of a guarantee under scrutiny and is worth noting for the lack of protection it provided the creditor. In this case a loan agreement was entered into with no separate deed of guarantee and indemnity. The borrowers and the guarantor had signed an ADLS standard form loan agreement. This agreement provides for a covenantor as well as a guarantor; however the word covenantor had been deleted. The agreement set out the obligations of the covenantor, and also contained a condition that the guarantor must sign a separate Deed of Guarantee and Indemnity. No deed was signed, and the Court found that the guarantor did not have any liability under the contract. A covenantor enters into an agreement. They agree to be bound by the borrowers’ covenants. Should the borrower’s covenants be unenforceable, then the covenantor’s covenants are also unenforceable. A guarantor, when signing a Deed of Guarantee and Indemnity covenants in this way. However, they also separately indemnify the lender against any loss, should the borrower’s covenants not be enforceable against the borrower. The indemnity obligation is a separate obligation, and is independent of, and survives the failure of, the borrower’s covenant. What this tells us is that if a separate Deed of Guarantee and Indemnity had been signed by the guarantor, the outcome of this case would have been different. Co-liability: the guarantor is treated as if they were the principal debtor under the agreement. Thus, they have all the same obligations. Indemnity: this functions as an additional obligation to indemnify the creditor. Because the liability of the principal and the guarantor run together – should the principal’s liability be lessened, then that of the guarantor’s may also be. 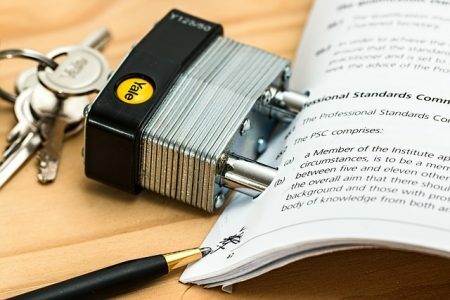 Although the wording can be somewhat confusing, a Deed of Guarantee and Indemnity acts as a safety net for a creditor, ensuring that they have a layer of protection against loss and the obligations of the principal. It’s worth taking the time to consider the possible implications of a failure on the part of the principal, and what this could mean for you. The ADLS Deed is easily adapted to a range of situations and your lawyer can draft one for you in addition to your primary agreement.